European team Misfits were the unlikely victors in the Overwatch Open grand final on Friday, and took home $100,000 (£77,378). This means Misfits have a place in history after earning the highest payout in competitive Overwatch to date. The Overwatch Open was presented by ELEAGUE, and the Grand Final Championship was broadcast live on TBS at 10 pm from Atlanta, and streamed online via Twitch. Coming into the final, Misfits were undoubtedly the underdog, incorporating two stand-in players into the team only three weeks prior to the final matchup which forced them to have to quickly adjust to a new team lineup. North America’s EnVyUs were an early favorite and boasted an unbroken record of wins since Gamescom. 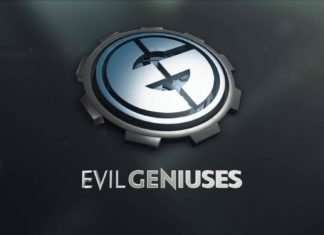 EnVyUs and Misfits traded wins in the first three maps, with Misfits gaining early momentum winning map one, conceding only one point to EnVyUs in the second map, before again asserting its dominance in map three. By the fourth map, Lijiang Tower, Misfits clinched their third and final point with a strong cohesive team dynamic led by player InternetHulk’s dominant play as Winston. In the end, Misfits secured three wins to EnVyUs’ one, and earned the team the title of Overwatch Open Champion, and the $100,000 grand prize. The Overwatch Open comprised an online phase run by FACEIT for European and North American teams, as well as Regional and Grand Finals, which took place at Turner Studios’ ELEAGUE arena in Atlanta. Competitors in the Overwatch Open vied for a share of a total $300,000 (£232,185) prize pool. Esports Insider: Another win for European esports and for Overwatch as an esports title too. Congratulations Misfits, ELEAGUE and Blizzard!